Ryazan, located 196 kilometers southeast of Moscow, is an ancient city founded in 1301. Primarily it is famous for the amazing Kremlin placed on top of the hill without any fortification around it. Ryazan, an ancient city founded in 1301, is located 196 kilometers southeast of Moscow. 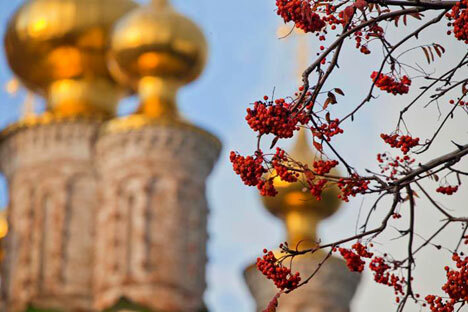 It is famous for its amazing Kremlin placed on top of the hill without any fortification around it. Konstantínovo is the birthplace of the famous Russian poet Sergei Yesenin, known as the "peasant poet". There is Yesenin´s house located on the banks of the Oka River, a tributary of the Volga river.